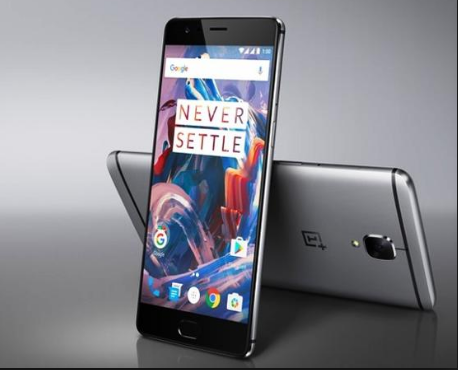 Download and Install Custom ROM CyanogenMod 13 on OnePlus 3 - Hello, After we gave some tutorials related to OnePlus 3, today AnyIndo will guide you to download and install Custom ROM CyanogenMod 13 on OnePlus 3. If you know, this Custom ROM is popular ROM and the basic, it is CyanogenMod 13. For additional information, this Custom ROM is official release for OnePlus 3 and the basic is Android 6.0.1 Marshmallow. Before continue to install this Custom ROM, make sure your OnePlus 3 has been rooted and installed Custom Recovery TWRP. There are more advise before you install it, you need to take back up via Nandroid backup first, it means youhave to take back up all important data. Download the ROM the ROM we've provided in this article. Once it is downloaded, copy to your phone. Download Gapps application,we've provided in this article (select ARM64 and Android 6.0.1), once it finish copy to your phone. Turn off your phone and reboot to TWRP mode. Take full wipe and factory reset (Wipe data/System/Dalvik/Cache). Belum ada tanggapan untuk "Download and Install Custom ROM CyanogenMod 13 on OnePlus 3"